We created skillfox because we believe that the traditional methods for finding a job and recruiting talent are becoming outdated. The perfect job for your strengths and personality could be out there waiting for you, but how do you find it if you don’t even know that it exists? And how do companies recruit for new roles, where where’s no such thing as someone with 'x' number of years of experience? Our aim is to increase the mobility of people across industries and disciplines, while enabling individuals to maximise their potential and find fulfilling work. A philosopher ('philos' + 'sophos' = lover of wisdom) and wordsmith, I have a skill for synthesising complex ideas and situations, before communicating them as efficiently as possible. After a career in financial services I've returned to my roots (psychology) to make it easier for talented people to find purposeful work. Like any good founder I'm a jack-of-all-trades, but my key responsibilities are sharing our story (which is fun) and ops (which is not). Away from skillfox you might find me in downward dog pose, running a trail in the hills or relaxing in front of a ball game (go Royals!). I am considered the grandfather figure of skillfox, but this doesn't faze me too much. With over 30 years experience teaching and consulting on the identification and measurement of human performance, I have been both Director of the Monash University Centre for Applied and Professional Psychology and a senior lecturer in Psychology. 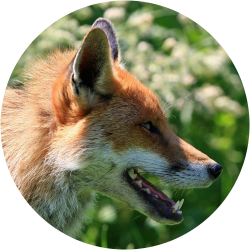 My essential contribution to skillfox focuses on ensuring the validity and consistency of our matching process along with wrangling the contagious enthusiasm of Steve, harnessing his working superpowers for good instead of evil. My extensive stockpile of knowledge of human behaviour and skills matching is utilised weekly as team manager of my local football team, thereby saving the rest of the team from constant analysis.